After many years of half arsed searching at this year's Stoneleigh military fair I came across this on a sale rack! I'm jealous. And my favorite regiment to boot! My Clans: Guthrie, Sinclair, Sutherland, MacRae, McCain-Maclachlan, MacGregor-Petrie, Johnstone, Hamilton, Boyd, MacDonald-Alexander, Patterson, Thompson. Welsh:Edwards, Williams, Jones. Paternal line: Brandenburg/Prussia. Proud member: SCV/Mech Cav, MOSB. Camp Commander Ft. Heiman #1834 SCV Camp. I've always loved the Patrol jackets. 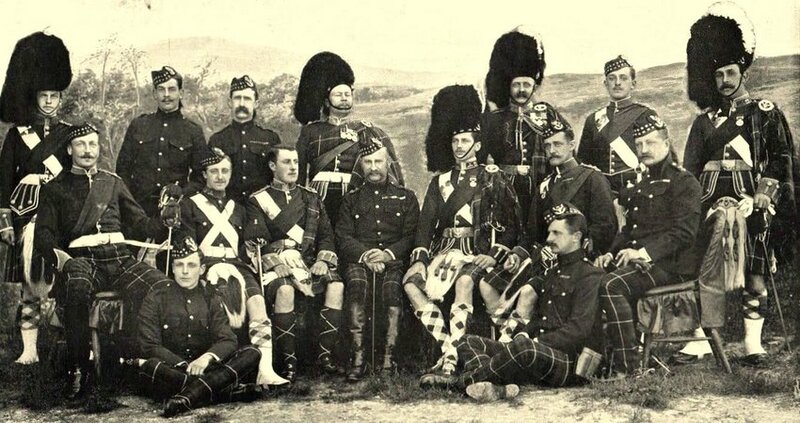 Here you can see their use by Highland officers c1900, worn with trews, and sometimes riding boots. 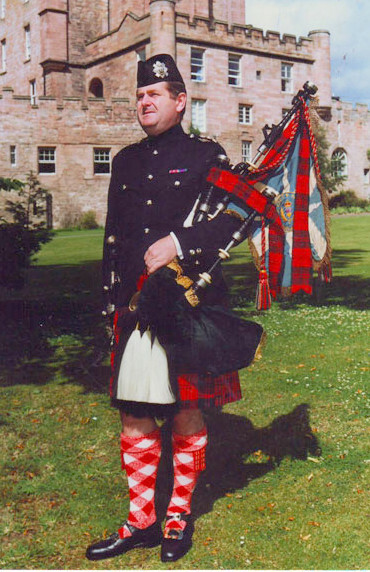 Nowadays you see Pipe Majors (and other senior pipers) wearing them with kilts. As you mention these are worn with no dirk belt and the dirk's suspender going through a slot in the jacket. Note they are worn (by pipers) with full regimental diced or tartan hose, buckled brogues, and horsehair Full Dress sporran. Last edited by OC Richard; 7th February 19 at 07:18 AM.